Stainless steel cabling offers an unobstructed view of the big lake. Randy Larson’s inspiration for using stainless steel cables for construction came from growing up sailing Lake Superior on a Morgan 34. 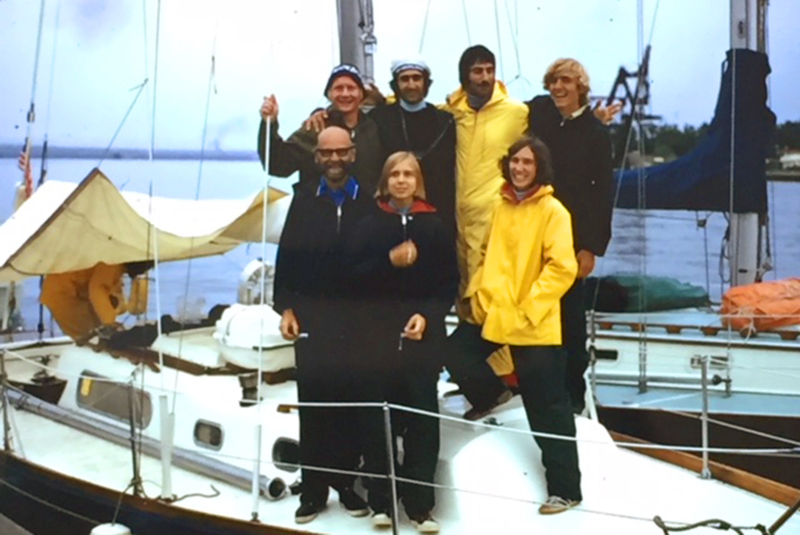 He raced the Trans Superior International Race in 1973 on Keel Joy. Inspired by the stainless steel cables and sleek hardware of his sailing days, Randy’s fascination with these elements grew. Flash back to the outstanding crew of the 1973 TransSuperior aboard the deck of Keel Joy, a Morgan 34. Randy at upper right! Stainless steel cable and hardware have become popular choices for building materials in recent years. 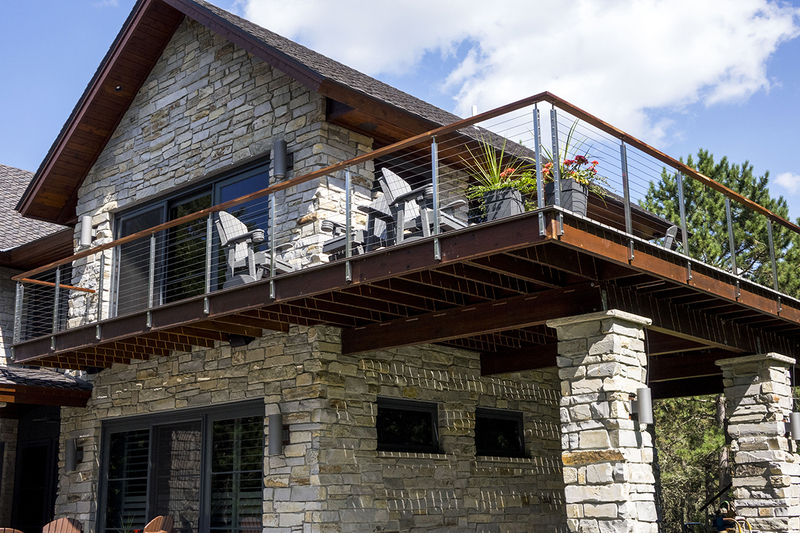 From decks to stairways, balconies to fencing, cable railing installs easily and can withstand the kind of weather extremes we see here in the Northland. Not only does it look beautiful, but it is low-maintenance. The minimal design shifts the focus to what’s beyond it: your view. It provides a safeguard from falling, and is extremely safe for children and pets. For over 60 years, architects have used stainless steel in their design concepts. We think of stainless steel as part of the modernist architectural movement, along with glass and tensile fabrics. Its minimal simplicity lends itself well to both contemporary and traditional designs. The minimal simplicity of stainless steel cable and hardware complements both contemporary and traditional interiors. Decks The most common place to install a cable railing is on a backyard deck. Northland builders and homeowners know that a deck can be a prized addition, especially in the warm summer months when we all love to relax and enjoy being outside with family and friends. Stainless steel cabling allows clear views. 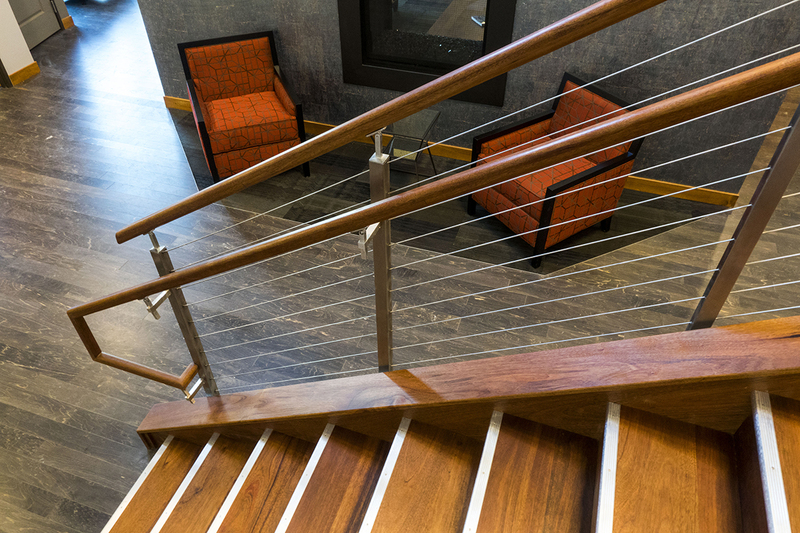 Building codes require certain precautions to keep occupants safe, including a railing. 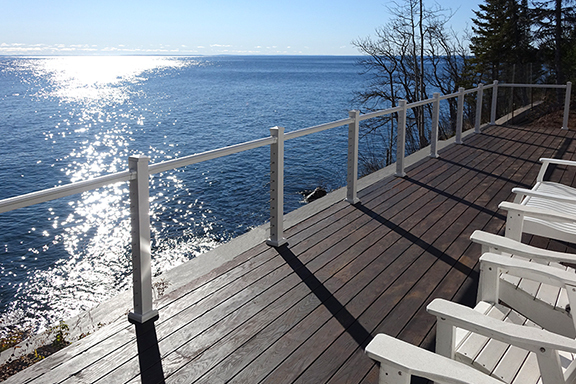 Adding a railing to a deck, however, tends to block the scenic views — the reason many decks are built in the first place. Cable railings allow for the clearest view, and the least amount of work to maintain it. Balconies or Terraces A balcony is a lot like a deck, but the structure of the building supports the platform rather than standing alone as an attachment. Balconies and terraces are usually smaller than a deck, but still deserve a strong, stylish railing. In a smaller outdoor space, a cable railing’s transparent quality can provide a feeling of spaciousness and a great view. Stairs Stairs are another common place for cabling. Railings are nearly always required where there are stairs. 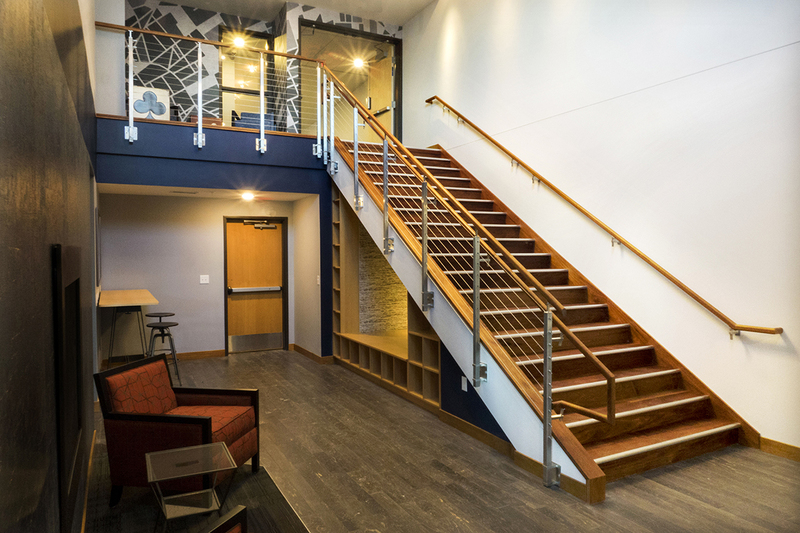 Cabling is an easy-to-install railing option for staircases and other interior applications. 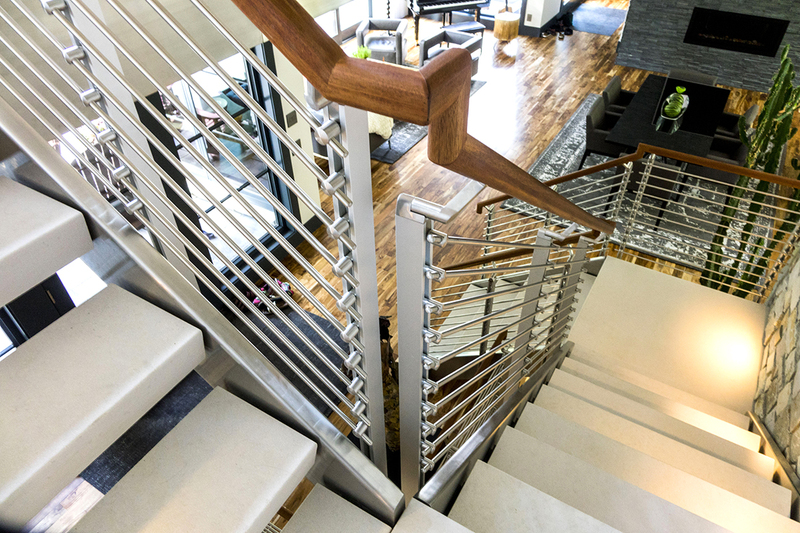 With an open look, cable railings provide an expansive feeling that works well with both contemporary and traditional interiors. Cabling provides and open expansive feeling. Outdoor Pathway/Garden Include cabling in outdoor spaces to mark pathways and add interest to landscaping. 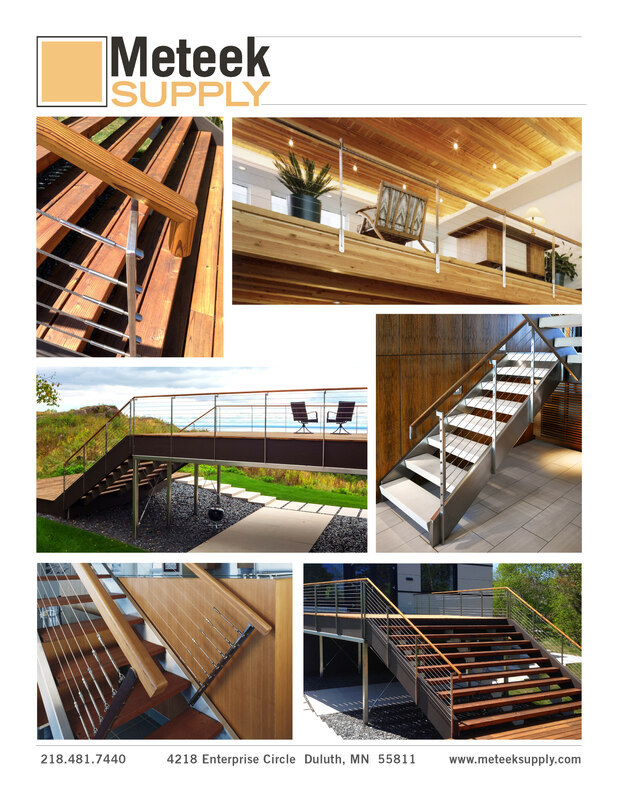 Substitute a cable railing for a wooden structure and you can appreciate the entire outdoor space without obstruction. Also, cable railing in a garden setting will allow climbing plants and other vines to show off and make the railing a part of the landscape. Other railing materials like glass and traditional pickets require a lot of work to keep them looking optimal. Stainless steel cable and hardware are durable, resist corrosion and withstand the elements. Good looks with low maintenance are always a winning combination in our book. 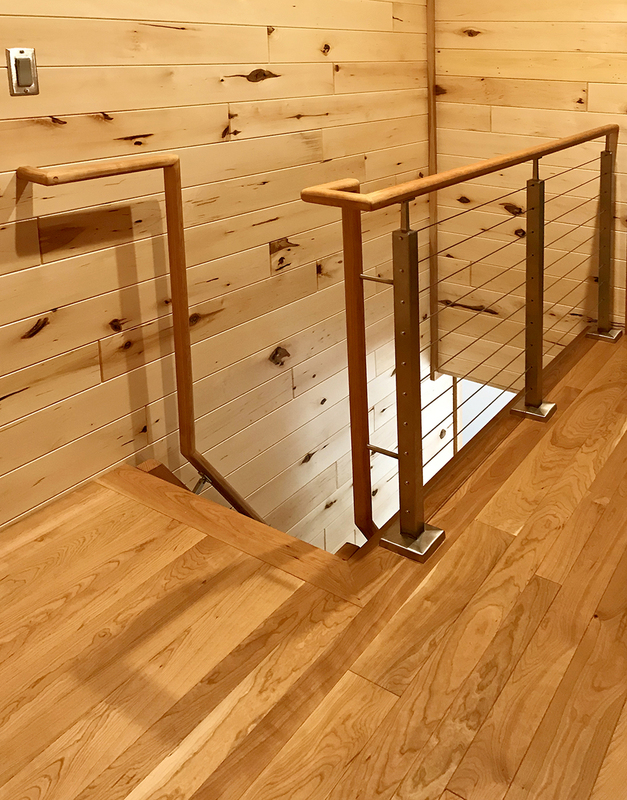 Sleek and gorgeous railing prefabbed in our shop by Andy last week and installed the next day: a lovely blend of contemporary and traditional. Clean look: stainless steel and limestone risers. With stainless steel cabling and hardware, the possibilities are limitless.